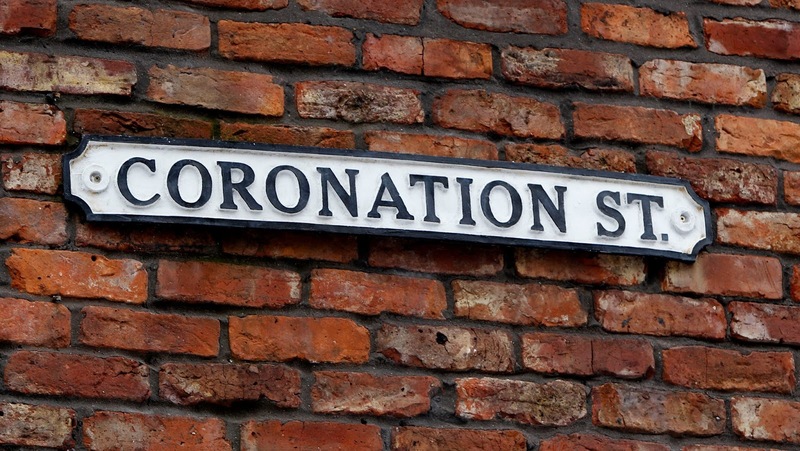 Coronation Street or Corrie is the most-watched programme on British television. This soap opera created by Granada Television was conceived in 1960 by Tony Warren and has been shown on ITV since 9 December 1960. A soap opera is “a story about the lives and problems of a group of people which is broadcast every day or several times a week on television or radio”. It has since then become the world’s longest ever running soap opera or television drama (entering the Guinness World Records before the drama Guiding Light) and is one of the most lucrative shows on British television. The show is available in the UK, the Republic of Ireland, the USA, Canada, New Zealand, Australia and South Africa. At the beginning, the show was broadcast twice a week but nowadays, it airs six times a week. Resembling Plus Belle la Vie or Demain nous appartient in France, it is a 25-minute show about everyday life and family affairs with a lot of plot twists and characters belonging to the working class dealing with a wide variety of social issues such as depression, homosexuality, teenage pregnancy, gambling addiction, etc. The story is set in the fictional town of Weatherfield, based on inner-city Salford. This town has a fictional history and the famous Coronation Street would have been named as such after the coronation of King Edward VII. In Tony Warren's original cast, there were three main characters, three strong women: Violet Carson as Ena Sharples, Pat Pheonix as Elsie Tanner and Doris Speed as Annie Walker. But in the 1980s, lots of big changes occurred for the show. Almost all the original cast members were gone; only William Roache (who plays Ken Barlow) remained. The writers had no other choice than to introduce new characters bringing with them new actors. Other channels started to compete with the show, such as Channel 4 and its brand-new soap opera Brookside, which differed from Coronation Street by merging working and middle-class families in a more contemporary environment and dealing with more social affairs such as unemployment, industrial action or the black market, but also EastEnders, introduced by the BBC. Over the years, the show has evolved. Many changes have been made to make it funnier and to make it stick to real life for instance by introducing other ethnicities, religions and genders. An innovation was the creation of the very first transgender child character in a soap opera. As “Corrie” depicts everyday life in the working class, the language register is quite familiar so that we can often hear some expressions from Northern English dialects such as “nowt” (/naʊt/) that means “nothing”. The show has such an important place in British culture that it generates some funny anecdotes. For instance, on 27th July 1981, the characters Ken Barlow and Deidre Langton got married. The episode of their wedding had more viewers than the actual wedding of Lady Diana and Prince Charles two days later. The series has even inspired the British rock band Queen in the video clip of its song I want to break free. 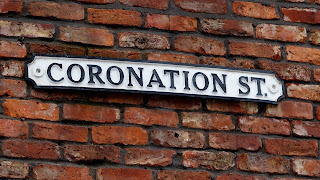 To conclude, Coronation Street is a show that has not only succeeded in reaching and marking generations but also in growing and evolving to the point of becoming a worldwide phenomenon.